The security deposit is an important part of any tenancy agreement because it ensures that the landlord would always have some security money from the tenant which can be used up in case of any emergency during the tenancy period. The bond normally comes in handy when the tenant disappears all of a sudden or when you need to get some repairs done after the tenant has left the property. In case there is no need, you can always return the entire amount once the tenant leaves the property and you see that there is no need to use up any of the security deposit. 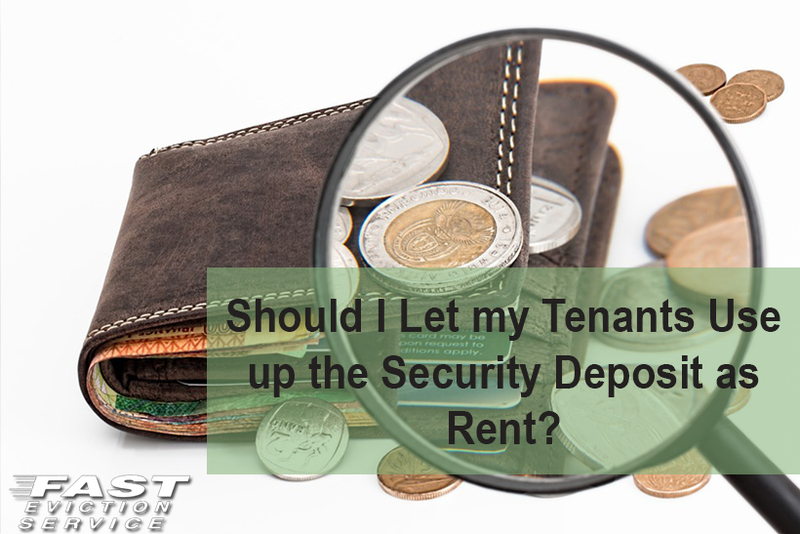 Why do Tenants Ask for the Security Deposit to be used as Rent? It would help in avoiding the paperwork that would be involved in returning the deposit money. The property is in better shape than it was when they moved in so there is no need to keep the deposit money for any repairs. Why You Should Avoid the Practice of Using Security Deposit as Rent? As a landlord, you may feel that it’s necessary to have a good rapport with your tenants and you may feel that you need to accept the request as it would make your life easy as well. However, it would be a mistake to actually let the security deposit money get used as rent. This is because it is certainly possible that once the tenant leaves the property, you find something where the bond money would be useful. This is not to say that you should think that the tenant would damage the property once you let them use up the bond but you would only be putting yourself in a corner if you would let the bond be used as rent. You might find the need of extra cleaning which your current tenants did not feel was necessary. Some fixtures may be broken or there might be minor repairs required that were missed by the tenants. There might be some outstanding dues left on the water or the electricity bill that need to be paid. You would only be able to deal with any such problem if you would still have some security deposit money with you. If not, you would have to bear the expenses from your own pocket as the tenant would not give you anything once the period is over and you have already let the security deposit be used as rent. So, think wisely and always ask the tenant to keep the monthly rent separate from the security deposit money unless it’s an emergency situation.